With the major exhibition Gods of Egypt, from 12 October 2018, the National Museum of Antiquities (Rijksmuseum van Oudheden) will be bringing numerous treasures to the Netherlands. Over 500 objects from Dutch and international museums will bring the Egyptian pantheon to life and demonstrate the enormous influence of the gods on the lives of the Ancient Egyptians. For Gods of Egypt, the National Museum of Antiquities is working together with the Egyptian Museum in Torino, which has the second largest Egypt collection in the world. In addition, remarkable statues of gods, reliefs, stelae, and mythological papyri will be sent on loan from the British Museum (London), Musée du Louvre (Paris), Kunsthistorisches Museum (Vienna), Roemer and Pelizaeus Museum (Hildesheim) and the August Kestner Museum (Hannover). Ancient Egypt is saturated in religion and magic. Stories about gods and the creation determined how the people saw the world. In this exhibition you will learn to recognise fascinating symbols and gods and gain a better understanding of the Egyptian world view. Themes include the role that temples played in the country, the journey to the underworld, and the use of home altars. A crucial element was the position of the pharaoh, who was seen as the reincarnation on earth of the god Horus. 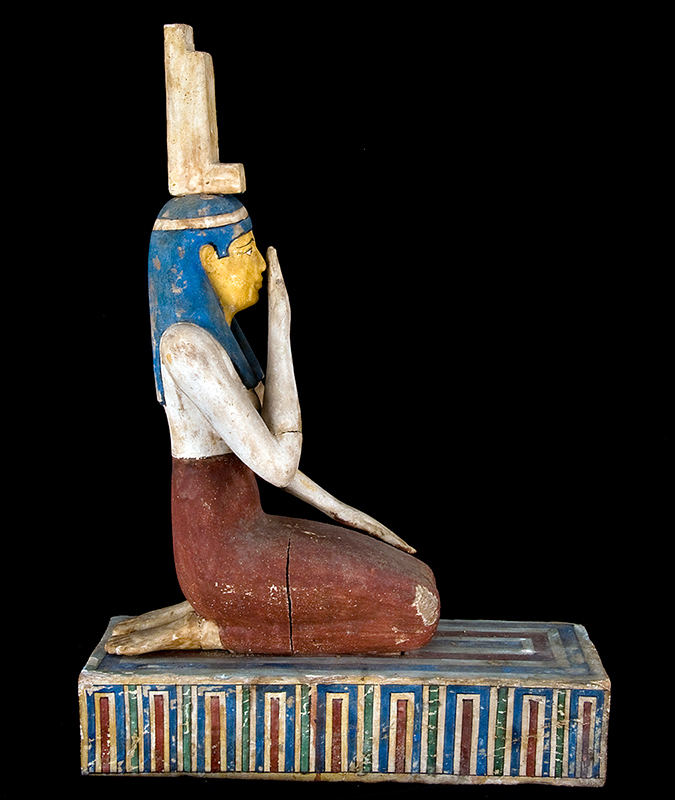 Gods of Egypt concludes with the role played by the Egyptian gods in modern art, films and lifestyles, illustrated by objects from a unique private collection. The exhibition will be accompanied by a catalogue, audio guides for adults and children, a programme of related activities, and a special assortment of merchandise. Gods of Egypt is the fifth in a series of high-profile winter exhibitions at the National Museum of Antiquities, following Petra, Carthage, Queens of the Nile, and Nineveh.